I’ve always been a hard worker. What The Rock calls, “the hardest worker in the room.” In a lot of ways, I had to be. I was dealt a “bad hand” and made some bad choices because of it growing up. I was short but chose to play basketball anyways. I grew up in Communism. Wasn’t great in school because I had what many would consider ADHD today. My Dad was away from age 11 doing his best to provide a better life for us. And I was also knuckle head, so I chose to run with the wrong crowds as an adolescent and lived a life of crime for a long time. At an early age, I ingrained hard work into my identity. But what if hard work is not the solution to the problem? What if it has more to do with being strategic and doing focused work on the right things to move ahead in life? I address those questions in this episode. I’ve learned a lot of lessons from my mistakes. I’ve also learned from some of the best when it comes to actually doing what you want/say you’re going to do. I share my insights from those experiences in this episode. 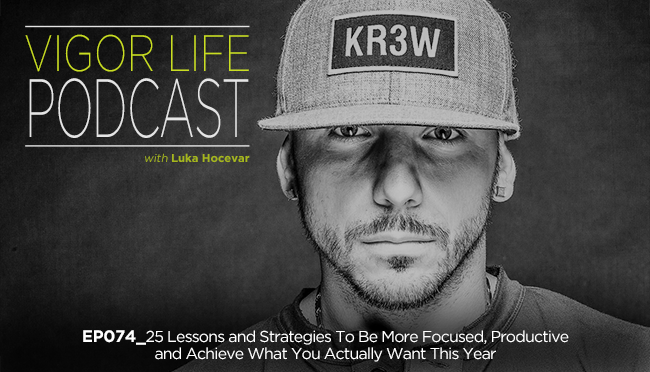 If you have something that you want to get after, this episode is a must listen. If you apply any of the lessons that I share to your life, I’d love to hear how it went for you. Action gets results, and results build momentum. And the thing about momentum is, it’s like a moving train: it’s hard to stop. This entry was posted in Podcasts and tagged Business, Fitness Business, Mindset, Productivity, Self Development, Self Help, Success. Bookmark the permalink.